To the amusement of the pundits and the regret of the electorate, our modern political jargon has become even more brazenly two-faced and obfuscatory than ever. 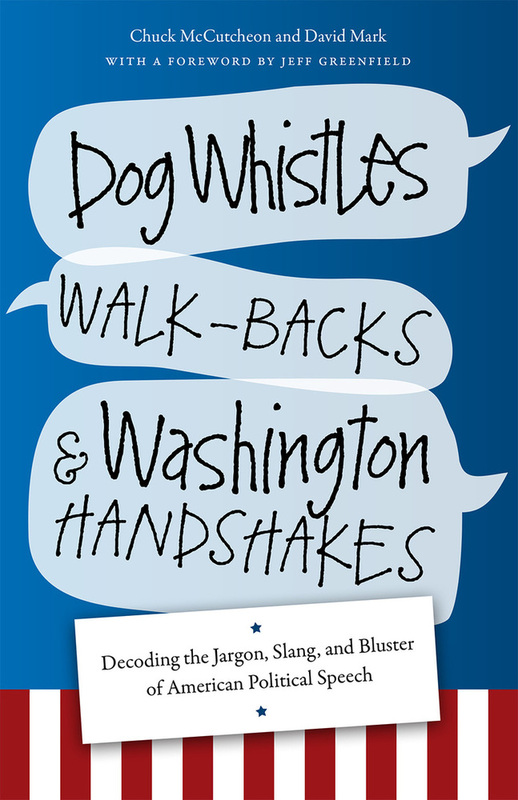 Dog Whistles, Walk Backs and Washington Handshakes is a corrective. It’s a reference and field guide to the language of politics by two veteran observers, not only defining terms and phrases but explaining their history and etymology; who uses them against whom, and why; and revealing the most telling, infamous, amusing and shocking examples of their recent use. It is a sleeker, more modern Safire’s Political Dictionary and a concise, pointed, bipartisan guide to the lies, obfuscations, and helical constructions of political language, as practiced by real-life versions of the characters on House of Cards and Veep. 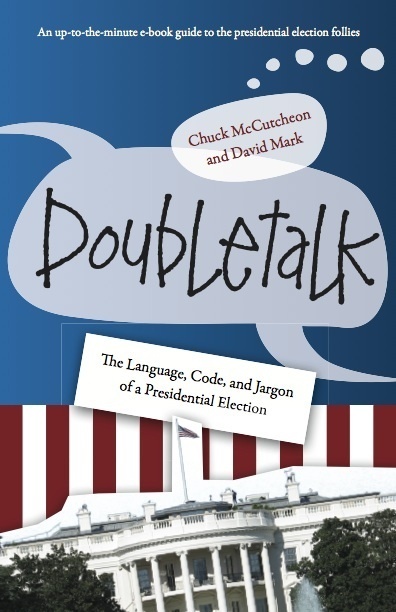 And because political language is so prevalent on the presidential campaign trail, the authors have written a sequel: Doubletalk: The Language, Code and Jargon of a Presidential Election. Available as an e-book in January 2016, it contains 100 all-new words and expressions that you need to know before casting your ballot in the race for the White House: “inartful” as a candidate’s subtle acknowledgment that he or she said something dumb; “evolved” as code for “I changed my position”; and “I am confident that” as a clever way of leaving some wiggle room in any assertion. "One would have thought that writing a gripping treatment of the semi-secret slang and code of the D.C. scene was impossible, but McCutcheon and Mark have done it. Dog Whistles, Walk-Backs and Washington Handshakes should be the accompanying text for "House of Cards" or "Scandal." Brilliantly written and fun." "What are those politicians talking about? This book translates political-speak into plain English - just in time for the 2016 presidential race." Our book contains hundreds of entries. Each week we share one with our online readers.